As Europe’s leading EPDM specialist in the roof sealing systems sector, we are keen to make your everyday work as a retail partner as straightforward as possible. For this reason, we deliver not only high-quality products, but also a plentiful supply of good arguments that will help you increase your sales. 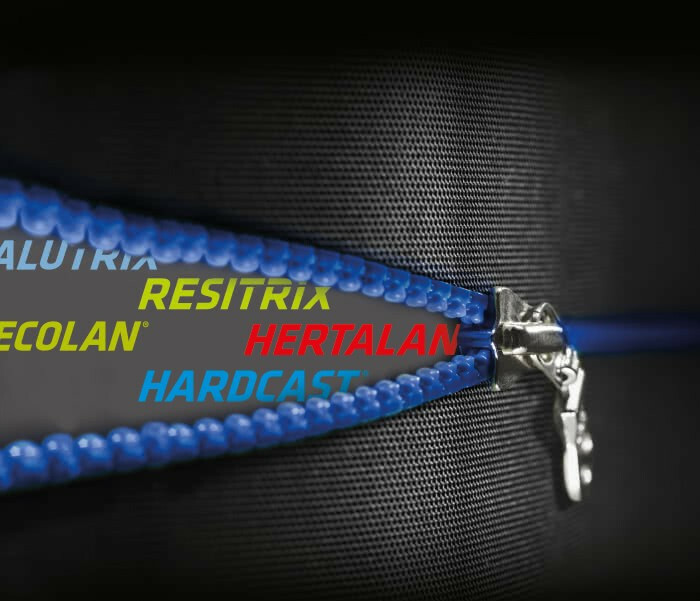 With our strong RESITRIX®, HERTALAN®, ALUTRIX®, ECOLAN® and HARDCAST® brands, you can offer your customers a streamlined range of sealing solutions that can be installed safely and easily. Our reliable service and dense sales network also ensure that you are able to respond to your customer’s more specialist requests quickly and professionally. Build. We’ll take care of the details. 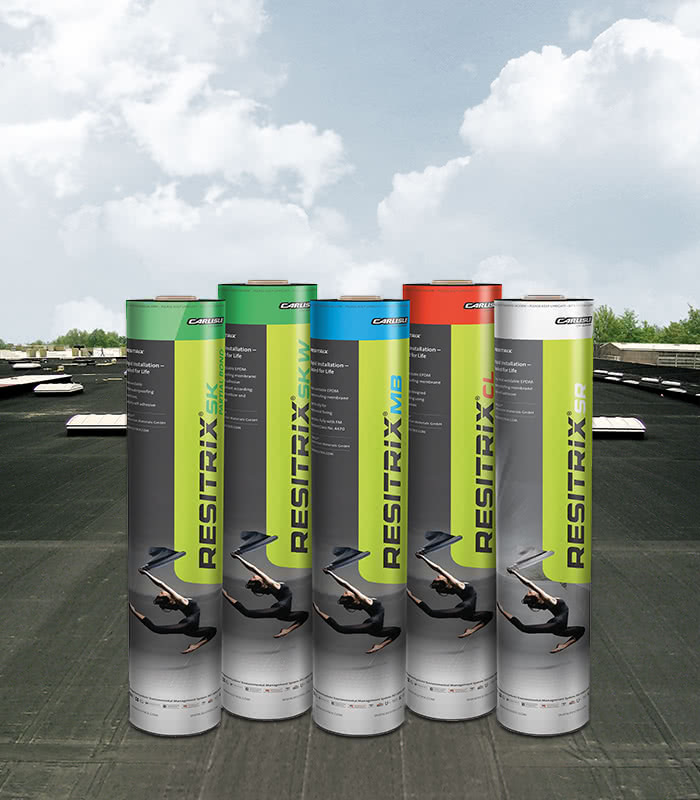 A versatile all-rounder for every roof: RESITRIX® waterproofing membranes with their unique combination of EPDM and polymer-modified bitumen are not only flexible in terms of their installation, but they are also suitable for all of your customers’ projects. Available in five product variations for every scenario. Five membranes. Every scenario sealed. More is not necessarily better. Where other manufacturers offer up to 40 product specifications, RESITRIX® gives you five. The areas of use range from any application involving old or new buildings to restorations – and in any climate zone too. Since storage space is valuable, our five highly efficient RESITRIX® variants ensure that stock is always clearly and neatly organised. Whether it be self-adhesive, root-resistant or for mechanical fixing – the RESITRIX® product range offers a variety of sealing options for every challenge. This makes the best possible use of storage space and avoids having to stock ever-growing numbers of specialist products and versions. Your customer will always find the right product for their application – at a glance. The entire underside of the membrane can be welded. With five highly efficient RESITRIX® variants, there is a highly professional product available for every sealing challenge. The clever product packaging guarantees quick and easy comprehension: the individual barcodes allow the membranes to be assigned easily to their respective area of application and ensure easy management in the warehouse. 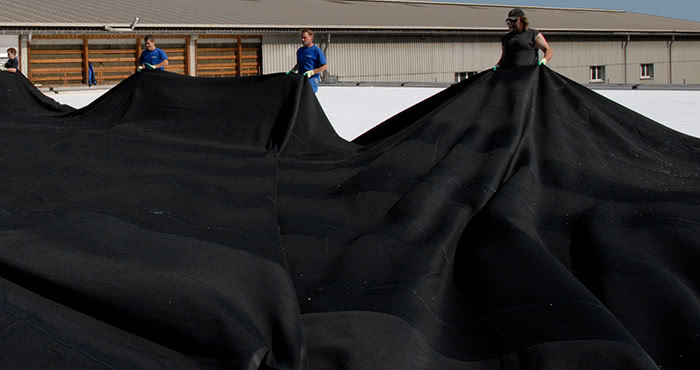 Tailor-made sealing: with the HERTALAN® EPDM membrane systems pre-assembled at the factory, installation is especially quick and the roof is sealed in a single operation. 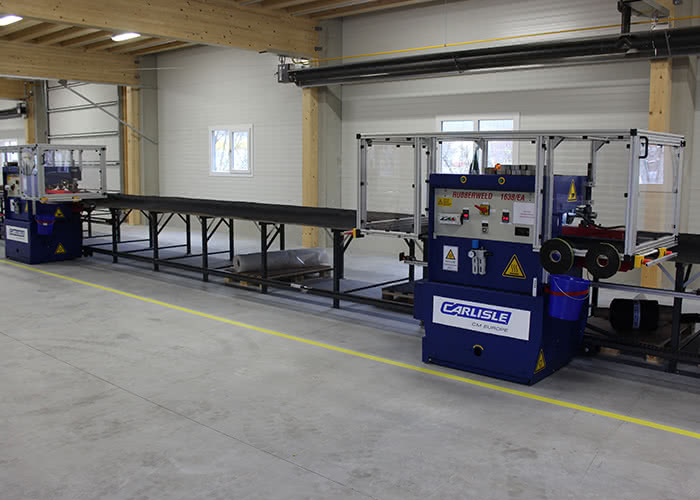 Available as a rack for cutting to size from the roll or as a tailor-made piece and delivered directly to the construction site by CARLISLE® Services. 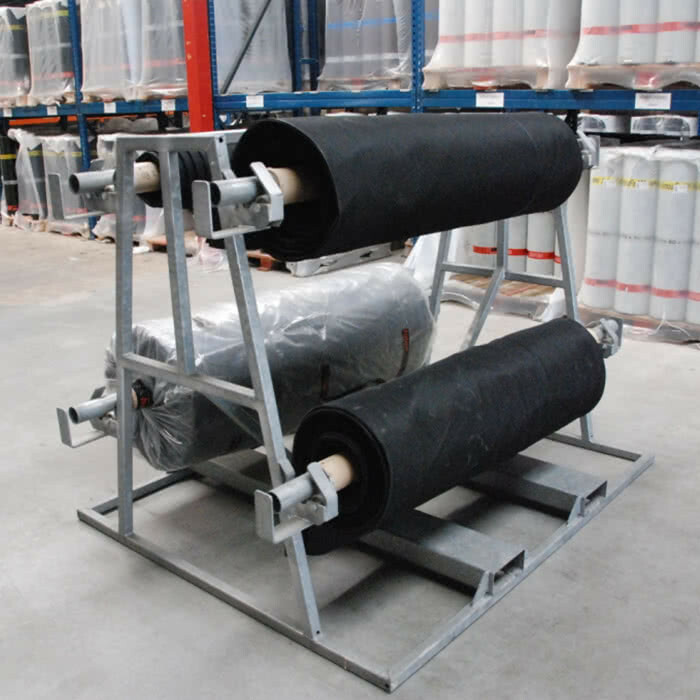 With HERTALAN® racks, we offer you EPDM membranes direct from the roll. This means pre-assembled flat roof waterproofing from a single piece thanks to homogeneous seam bonding using the hot bonding method. 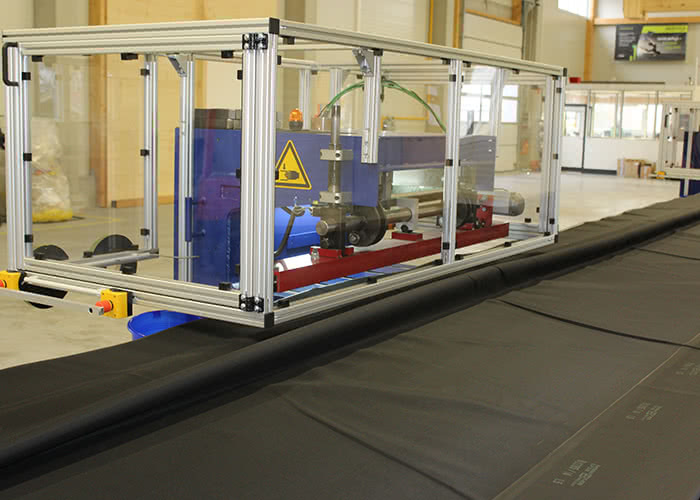 The pre-assembled HERTALAN® membranes are available in standard widths from 2.8 to 8.4 m and up to 30 m in length – each in a material thickness from 1.2 to 1.5 mm. Can be walked on immediately and is puncture-resistant: the cold self-adhesive vapour barrier membranes ALUTRIX® 600 and ALUTRIX® FR are made from aluminium composite film. They are quick to process, especially effective and so resilient that they can withstand even the most rigorous stresses. Environmentally friendly top quality: ECOLAN® EPDM pond liners are ideal for the permanent waterproofing of swimming pools and garden ponds, water features and stream courses. Ecologically harmless for humans and animals, extremely long-lasting and totally flexible. Sealing options for roofs and façades: HARDCAST® industrial adhesive tapes and sealants offer the right air and water-tight solutions for virtually any sealing problem. For greater energy efficiency and living comfort. Mit mehr als 50 Jahren Erfahrung auf dem Dach wissen wir genau, wie wichtig ein straffes Produktsortiment für den Handel ist. Um Ihnen im Lager mehr Spielraum zu geben, haben wir ein neues Service- und Logistiksystem geschaffen: CARLISLE® Services (CS). Dabei bestellt Ihr Kunde wie bisher direkt bei Ihnen als Handelspartner. Sie geben anschließend die Informationen über die Größe der Fläche und die Dachaufbauten an CARLISLE® Services (CS) weiter – wir kümmern uns um den Rest. Bei Bedarf werden Zeichnungen erstellt, technische Details mit Ihrem Kunden besprochen und die Freigabe eingeholt. Die bestellten HERTALAN® EPDM-Planen liefern wir inklusive Zubehör an Sie als Handelspartner oder direkt auf die Baustelle. Durch das neue Logistikkonzept mit vereinfachten Abläufen und die erweiterte Lagerhaltung kann CARLISLE® Services schnell reagieren und auch eilige Kundenanfragen nach Produkten bedienen, die Sie nicht standardmäßig auf der Stellage haben. Somit ist CS eine optimale Ergänzung zum bisherigen Angebot. So können Sie schneller und serviceorientierter auf Kundenwünsche reagieren, ohne selbst Lagerhaltung oder Personal ausbauen zu müssen. Am Ende gewinnen alle: Ihr Kunde erhält schnell und zuverlässig sein gewünschtes Produkt und Sie punkten bei ihm mit einer breiten Produktpalette, kurzen Lieferzeiten und optimalem Service. Durch CS wird das Angebotsportfolio des Handels optimal ergänzt. Dabei wir die HERTALAN® Produktpalette erweitert, das Raster der Standardplanen erhöht und die Länge der Planen flexibilisiert. Somit ist es möglich, noch öfter auf Standardprodukte zurückzugreifen, ohne gleich mit Aufschlag für individuelle Planen bestellen zu müssen. Die vorkonfektionierten HERTALAN® Planen können Sie in Breiten von 2,8 bis 11,2 m und bis 30 m Länge erhalten – jeweils in einer Materialstärke von 1,2 bis 1,5 mm. Sonderlängen bis 45 Meter sind möglich. Natürlich werden auch weiterhin individuelle Planen gefertigt und durch CS können wir dies jetzt auch schneller als bisher. Sie haben Fragen zu CARLISLE® Services oder möchte diesen in Anspruch nehmen? In unserem Kontaktbereich können Sie über Telefon, E-Mail oder ein Kontaktformular mit uns in Verbindung setzten. Einer unserer Mitarbeiter wird sich dann schnellstmöglich um Ihr anliegen kümmern. Product knowledge to enhance your roofing skills – the CARLISLE® Academy. As part of our CARLISLE® Academy, we offer specialist product training to add to your expertise. 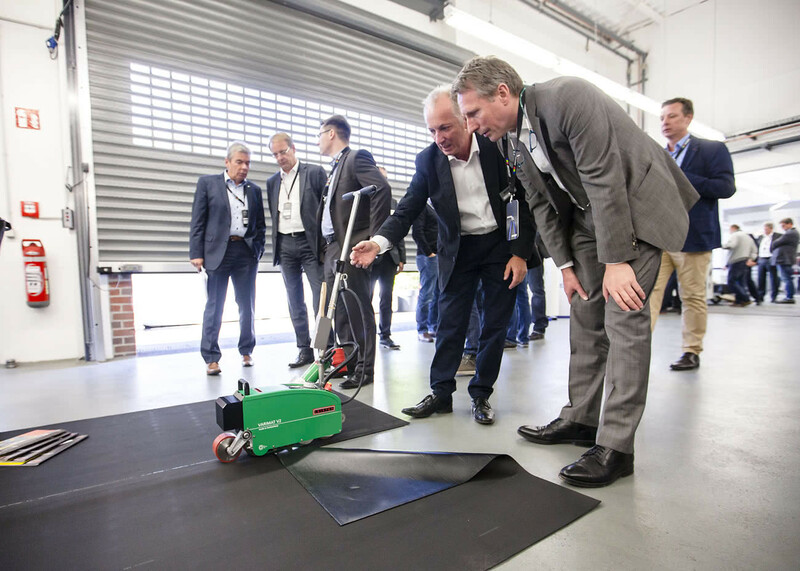 Whether it be at your premises or at our Academy, you will learn not only the theory behind our products, but you will also become familiar with their use. Each of our training is SPRA accredited. While enhancing your skills at the CARLISLE® ACADEMY, you will learn about our RESITRIX®, HERTALAN®, ALUTRIX® and HARDCAST® products. 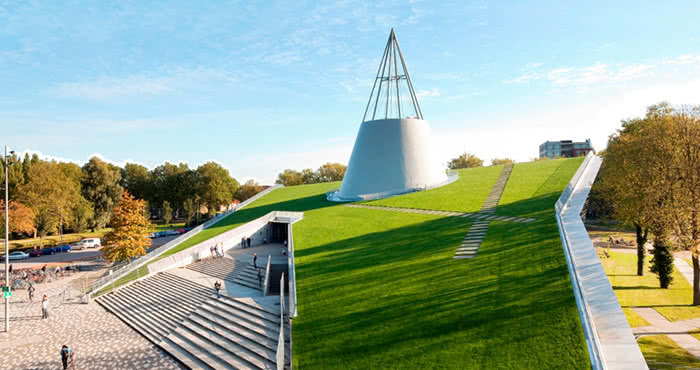 We will share tried-and-tested benefits of EPDM solutions on and around roofs, walls and façades and offer you valuable tips for efficient installation. The result: you improve the standard of quality you deliver and therefore increase customer satisfaction.